The Federal Housing Administration (FHA), part of HUD, insures FHA loans for FHA-approved lenders. This loan is beneficial for the lender in that it reduces risks of a loss if a borrower defaults on their mortgage payments. On the other hand, it makes it easier for a borrower, especially a first time home buyer, to qualify for a mortgage. FHA loans allow down payments as little as 3.50%, FICO credit scores as low as 580, and low closing costs. It is important to note however that the lower the credit score, the higher the interest rate the borrower receives. Furthermore, the borrower is required to purchase a mortgage insurance premium in case the borrower defaults. The mortgage insurance premium serves as a financial backup to protect the lender. In 2018, the FHA announced that the loan limits for FHA limits would change. It has increased from $275,665 to $294,515 for low costing areas that comprise 60.00% of the US. In high costing areas such as Los Angeles and San Francisco, the FHA’s loan limit ceiling has increased from $636,150 to $679,650. FHA loans have become the largest insurer of residential homes (consisting of single family and multi-family homes) in the country. The loan was first created in the 1930s in response to the rash foreclosures and defaults that transpired. The purpose of the loan was to provide satisfactory insurance to mortgage lenders and to help stimulate the housing market. In essence, FHA loans made loans accessible and affordable for borrowers with less than adequate credit scores or low down payments. To qualify for the loan, borrowers must have a steady employment history, be out of bankruptcy, and have a healthy credit for the past two years. In addition, they must be three years out of foreclosure with a good standing credit. It is important for the buyer to be of legal age to sign a mortgage in the respective state, have lawful residency in the country, and have a valid SSN. As mentioned above, applicants for this loan must have a minimum FICO credit score of 580 with a low down payment amount of 3.50%. Borrowers with a FICO credit score lower than the minimum 580 can still qualify for the loan. All they have to do, in that case, is make a down payment of 10.00%. The down payments required of the borrower can be gifted to the borrower by a family member. Furthermore, the front-end ratio usually must be less than 31.00% of the borrower’s gross income. The front-end ratio consists of the mortgage payment, HOA fees, mortgage insurance, homeowners insurance, property taxes. The borrowers’ back-end ratio, on the other hand, usually needs to be less than 43.00% of their gross income. This back-end ratio consists of the mortgage plus all their monthly debt (i.e., student loans, car payments, credit card payment, etc.). There are obviously cases in which the borrower qualifies for the FHA loan without meeting the aforementioned requirements. In those cases, the lender must provide justifications for why the mortgage may present an acceptable risk. Additionally, the lender must also provide compensating factors for loan approvals. 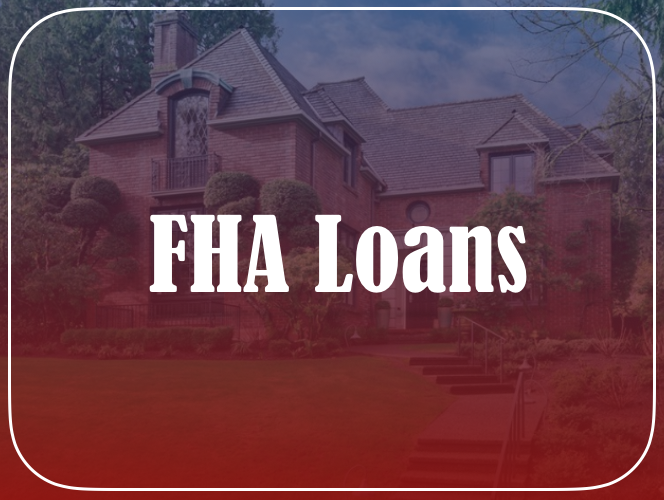 Clearly the requirements for FHA loans are not as strict as other mortgage loans may be. Thus, there is a catch! The borrower must purchase an upfront mortgage insurance premium (MIP) of 1.75%. For example, if the borrower purchased a loan of $400,00, their upfront MIP will be $7,000 ($400,000 x 0.0175). The amount can be paid when the buyer pays for their closing costs or the buyer has the option of financing it into their mortgage. Additionally, the borrower must also purchase an ongoing monthly mortgage insurance premium (also known as an annual MIP) of 0.80%. So, the buyer will have to make annual MIP payments of $3,200 ($400,000 x 0.008) and monthly MIP of $266.67 ($3,200 ÷ 12), if the loan amount is $400,000. The duration of the annual MIP is dependent on the LTV ratio on the origination date of the loan and the amortization term. Furthermore, the home must meet certain conditions; thus, a FHA-approved appraiser must appraise the property. If you are looking to purchase a new home, FHA loans are the loans that you should look into. We can help you find a mortgage loan fitting your personal and housing needs. 3CALoan has developed comprehensive FHA loans that require the customer to have a minimum FICO credit score of only 580 and make a down payment of 3.50%. Furthermore, our downpayment assistance program can provide assistance to new homebuyers with mortgage costs. Our competitive rates, efficient services, and talented team can help ease the process of purchasing a home. We help our customers every step of the way. We like to make sure our clients are well-informed and knowledgeable about what is happening. Our excellent, quality services are reflected on our client’s happiness and confidence upon closing a deal. To find out more information about FHA loans and how we can help, contact us at (818) 322-5626.